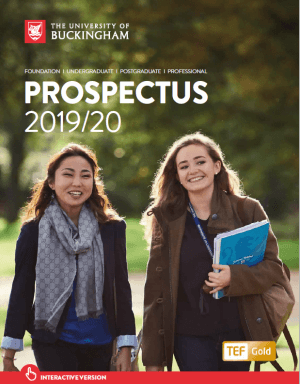 Congratulations if you have received an offer from Buckingham – we look forward to welcoming you! You will need to sign the Acceptance Statement that we sent you with your offer letter. You need to return it to us, either by post or by email as a scanned attachment. Your offer may be unconditional or conditional. If the offer is conditional, we may be waiting for your examination results or other documents that will enable us to confirm your acceptance. We will receive your A-level, BTEC or IB results direct from UCAS, so you don’t need to do anything else unless we ask you otherwise. If you’re still deciding, make sure you check out the accommodation page for full details about all of your options whilst studying at Buckingham. If you have not booked your accommodation for September 2019 please arrange to do this as soon as possible to take advantage of our Accommodation Guarantee (31st July 2019). The University’s preferred payment method is via our Online Payment Portal. Other methods of payment are also available. Important: You will only be able to register if the above documents and payment have been received. If in doubt please contact the Admissions Office. All payments should be made prior to your registration date for confirmation of this date please refer to your offer letter. If you are from outside the EU/EEA or are Swiss, you will need a Tier 4 student visa. Remember to apply in plenty of time for your visa. You can only register if you have the appropriate Tier 4 student visa. Delays in obtaining your visa can prevent you from starting your course. As part of your application for your visa, you will be required to pay an immigration health surcharge, which will entitle you to National Health Service (NHS) care in the UK with no additional cost in the same way as a permanent UK resident. Please see Health and Medical Care guidance for more details. See our Student Visa guidance for information, advice and step-by-step instructions on making your application. If you experience any difficulties during the visa application process, please contact the Visa Office or telephone +44 (0)1280 820308. When you turn up to register please bring a form of photo identification with you such as passport, drivers license, visa etc. If you have any questions about this please get in touch before you arrive. We are committed to supporting everyone in achieving their full potential. Please let us know as soon as you can about any disabilities or specific learning difficulties, even if mild, so we can let you know what additional support is available. This can include additional arrangements for exams or additional learning support sessions. 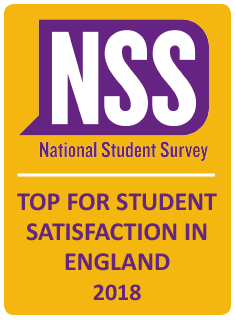 Please contact Students First so we can support you as fully as possible. The Students First team will also be on hand at registration as well. Buckingham is a short drive from Milton Keynes and has great transport links from the nearby train stations; Milton Keynes Central and Bicester North. When you arrive, you should come to the Vinson Centre on the Hunter Street Campus to register. Please see our Campus Map, or Google Maps for the exact location. Please see How to Get to Buckingham for detailed instructions on arriving by car, train, coach or air. As you would with any holiday abroad, please make sure you bring your passport and any other forms of identification such as a driver’s license that you may use when living in Buckingham. Complete a landing card as soon as possible. If you plan to travel in or out of the UK more than four times in 2019 you can become a ‘Registered Traveller‘ this means you won’t need to keep filling out a separate landing card each time you arrive in the UK. 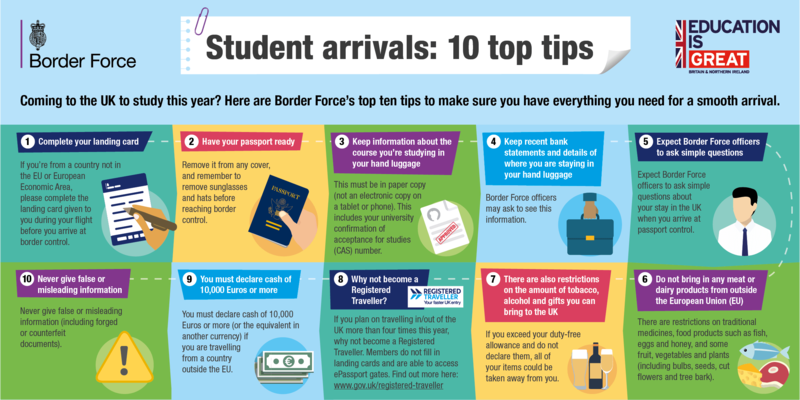 For more useful advice before you travel please look at the Border Force’s top ten tips for a smooth arrival. We will be posting students news and events regularly on our social media channels so make sure you follow @UniofBuckingham on Instagram, Snapchat, Facebook and Twitter to stay in the loop.